Within a Cisco Unified Communications Manager server or cluster, one instance of the CDR Repository Manager runs on the CDR Repository server or node. It manages CDR files that are received from the Cisco Unified Communications Manager nodes and periodically sends the files to the specified customer/third-party billing servers via FTP/SFTP. Our PBX Data Logger polls the FTP server and retrives new data. 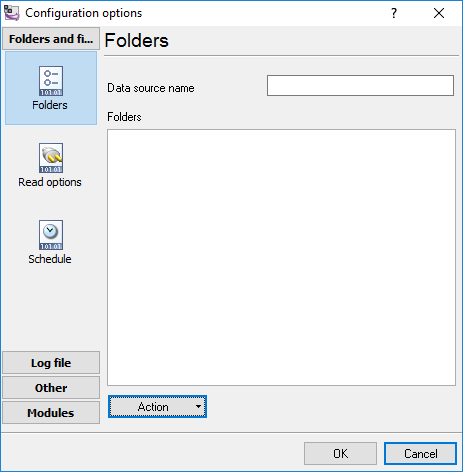 You should add the "File" data source type and configure a FTP or SFTP connection with the FTP server. When the file arrives on the CDR Repository server or node, the CDR Repository Manager detects it. The system archives the file in a directory that is dedicated to the date that is indicated by the UTC timestamp that was placed in the file name when the file was created. If any external billing server is specified in the CDRM configuration, the system creates an empty file in each of the corresponding folders for CAR and the billing servers, if CAR or the corresponding billing server is activated. The CDR Agent monitors new CDR/CMR files that are generated on CallManager servers or nodes by the call processing component. It sends the files to the CDR Repository node and then deletes the local copy after the file is pushed out. 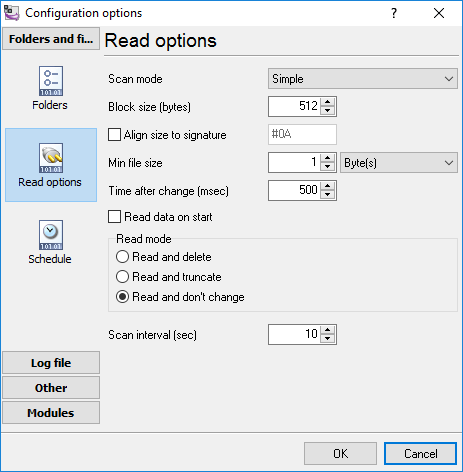 The file sender component of the CDR Repository Manager detects these empty files and sends the file to the destination with the specified method. If the delivery is successful, the system removes the empty file in the destination directory. Every Cisco Unified Communications Manager can generate one CDR file and one CMR file every minute for up to 1 hour. You can configure the maximum disk space that is used for storage of CDR files in the CDR Repository through provisioning. The File Manager component of the CDR Repository Manager runs hourly. When the File Manager runs, it deletes files with dates outside the configured preservation duration. It also checks whether disk usage has exceeded the high water mark. If so, the system deletes the processed CDR files until the low water mark is reached, starting with the oldest files. However, if any CDR file to be deleted was not successfully sent to the specified billing server, the system leaves it in the CDR Repository and raises a notification or alarm. The system creates a flag file during the configured maintenance window, which denies access to the CDR files for the CDR onDemand Service. The system removes the flag file after the maintenance window expires. For detailed procedures on configuring the CDR Repository Manager and customer billing servers, see "Cisco Unified Communications Manager Call Detail Records Administration Guide"
1. Create a new "File" data source. 2. Click "Actions - Add...". 3. 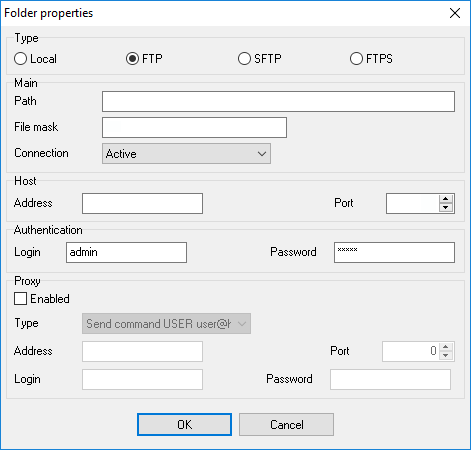 Select "FTP" and configure connection with your FTP server.